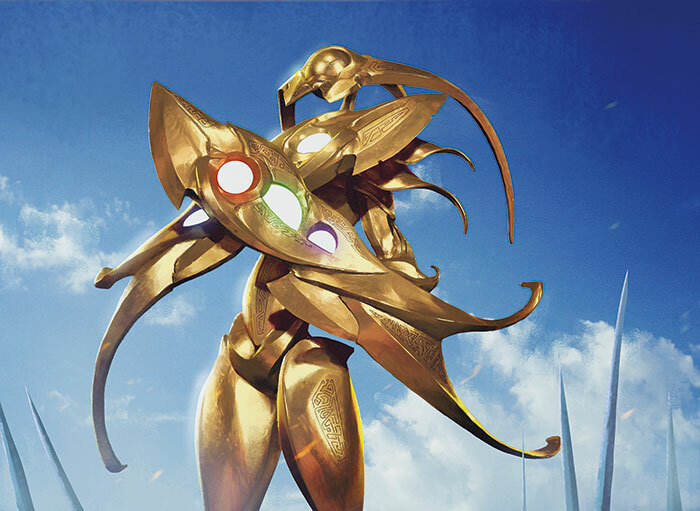 We've got about two months until Modern Masters 2015 comes out, and we already know three cards and have a strong guess at a fourth, plus possible other cards available to us that fit the numbering. I'm willing to guess it will be All is Dust and Artisan of Kozilek. Eldrazi Conscription, while powerful, could warp a draft. Artisan of Kozilek is harder to cast, and All is Dust would be harder to pull from a booster pack since it's mythic rare. Unless Eldrazi Conscription goes up to mythic rare, I don't see it being printed this time. I personally am hoping we get to see some cards from Bogles decks like Slippery Bogle, Daybreak Coronet, and maybe even Leyline of Sanctity. I'm also expecting some Modern staples to show up like Lightning Bolt and Path to Exile. I'm also expecting to see some important cards for Modern decks like Scapeshift, Splinter Twin, and Living End. Of course, other cards from these decks like Fulminator Mage, Spellskite, and Serum Visions will probably also show up. 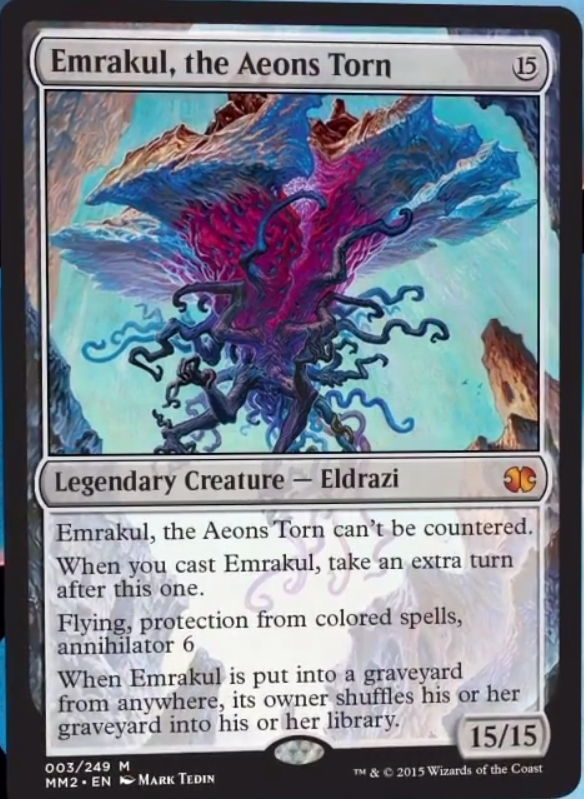 If they do get printed, they'd need to be at common to better assemble the pieces, and there is synergy with Scapeshift and casting some Eldrazi spells. There are about twenty more cards than last time, so we could see several more things we weren't expecting to, but anything is fair game since Tarmogoyf is getting reprinted and it was here last time.